How Will Your School Benefit from BRIM’s Bullying & Student Behavior Tracking Software? You want your school to be as safe and as conducive to learning as possible for your students. BRIM’s school behavior management system can help you accomplish that goal while eliminating paper-based behavior tracking sheets and forms at your school. A safe, positive school culture lays the foundation for higher student achievement and overall happiness within your school among teachers, students, and parents. Once you’re using BRIM, tracking and reporting of student behavior will take you as little as 30 seconds and is done completely online. Because it’s online, you can access your students’ information 24/7 from anywhere around the world. Even better, once your information is entered into BRIM’s behavior management system, you gain powerful insights into bullying and bad behavior at your school through the BRIM Tracking Software Reports Center. With the Reports Center, you’ll know what types of incidents happen most, where they happen most, whose most frequently involved and everything else you need to know to ensure you can take action and be confident you’re having the greatest impact possible. BRIM can track not just bullying related behaviors but also general bad behavior such as tardiness, dress code violations, fighting and more. Behaviors tracked are easily customizable to match your school’s needs. View bullying and bad behavior hotspots around your school, trend graphs and more. By using BRIM Behavior Management System, you’ll learn more than you ever thought possible about bullying and bad behavior at your school, and discover from the reports center where you can take action to make the biggest impact at your school. To help ensure incidents are reported, students, staff and the community can report incidents anonymously online. For victims of bullying and bystanders that may fear retaliation if they come forward, anonymous online reporting offers a safe, convenient way to speak out. The appropriate administrators are notified via email when new incidents are reported. BRIM is stored in secure datacenters. Only staff you authorize can login to BRIM to view reported incidents. When meeting with a student’s parents, instantly view extensive student profiles detailing a student’s involvement in incidents around your school. Identify the grades at your school where incidents happen most with our Incidents by Grade report. Free, unlimited importing of your student and staff information in to BRIM. 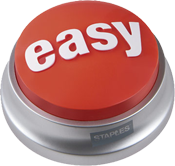 Eliminates paper-based behavior tracking sheets and forms. Your student behavior info will be both more accessible and will help to make your school more environmentally friendly. Get a Student Discipline System that Works for Your School! Ideal for schools of all sizes, BRIM can help your school not only keep track of discipline information but also give your students and school community a powerful online communication tool. Students, parents, and staff report incidents – good and bad – and your staff will have an easy-to-use admin portal to respond to all incoming communications. Want to learn more? Click the button below!